Major Attractions: Qutub Minar, Lotus Temple in Delhi, Taj Mahal (symbol of love), Red Fort in Agra, Amber Fort, Hawa Mahal, Jantar Mantar (Observatory) in Jaipur, Junagarh Fort, Camel Breeding farm in Bikaner, Living Fort, Sunset at Desert in Jaisalmer, Mehrangarh Fort in Jodhpur, Ranakpur Jain Temple, City Palace in Udaipur, and Beaches in Goa. 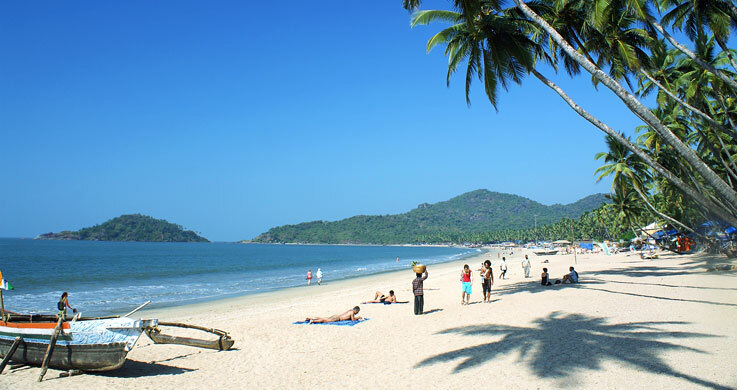 Rajasthan with Goa Tour is a concoction of heritage and romance. 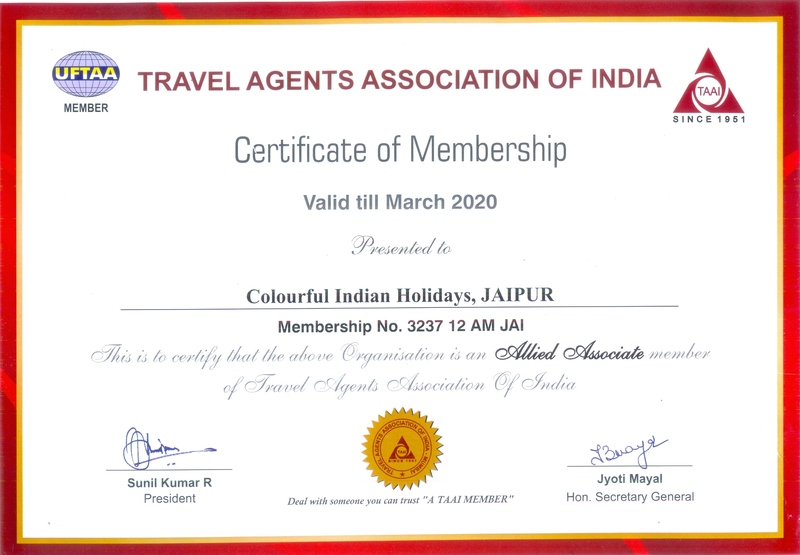 It has a duration of 18 nights and 19 days connecting exciting cities like Delhi, Agra, Jaipur, Mandawa, Bikaner, Jaisalmer, Jodhpur, Ranakpur, Udaipur, Pushkar, and Goa. 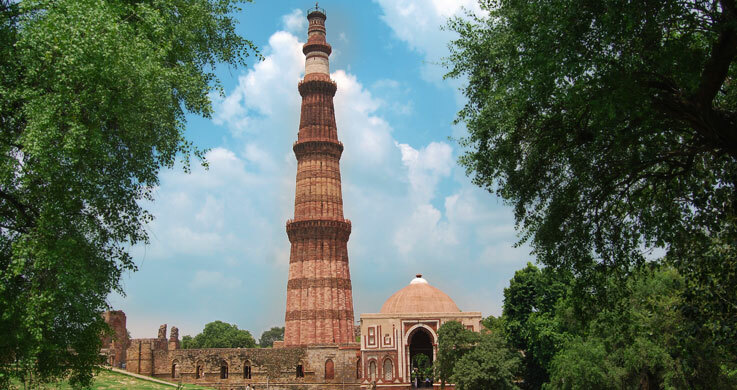 The tour begins with a to welcome to Delhi and sightseeing. We will cover major tourist locations like Qutub Minar, Lotus Temple, the India Gate, the Raj Ghats (Gandhi Memorial) and drive past President's House and Parliament House. 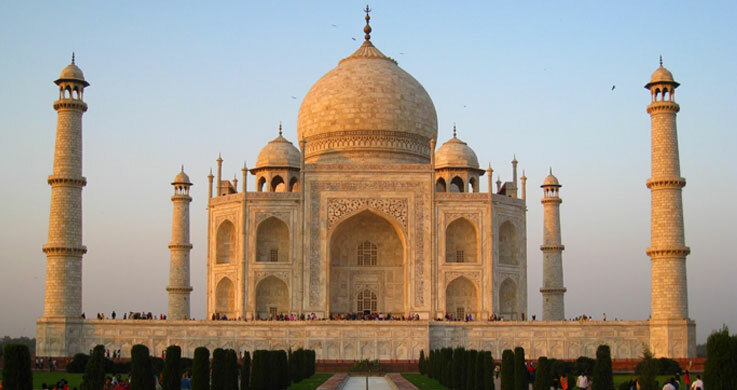 We will drive towards Agra on the third day to visit Taj Mahal and Agra Fort. 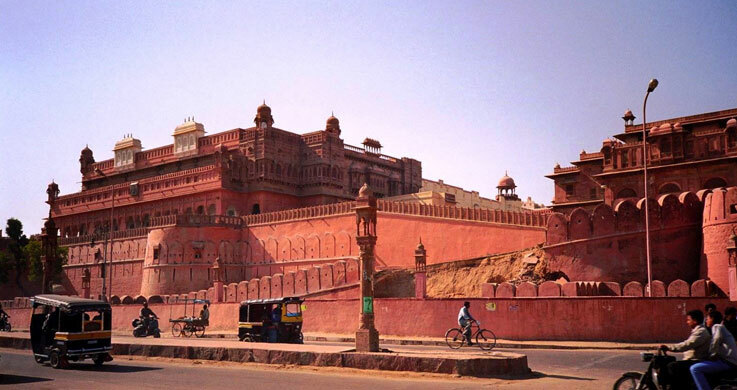 Next day, we travel to Jaipur exploring Fatehpur Sikri on the way. 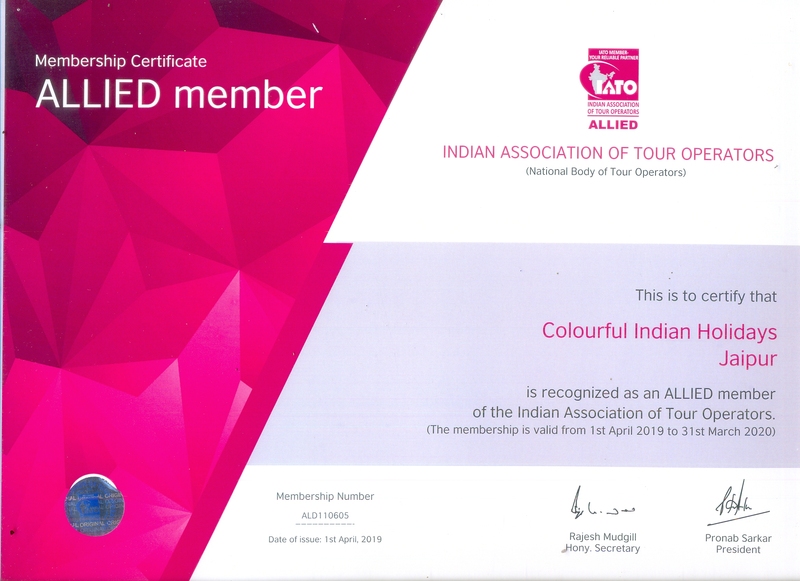 We experience The Buland Darwaza, Palace of Jodha Bai, Birbal Bhawan, Panch Mahal, Amber Fort, Hawa Mahal, City Palace Museum and Jantar Mantar. After Jaipur we will reach Bikaner and overnight stay here. The next seven days will be devoted to Rajasthani cities of Jaisalmer, Jodhpur, Ranakpur and Udaipur. From Udaipur we will board flight to Goa via Mumbai on 14th day. 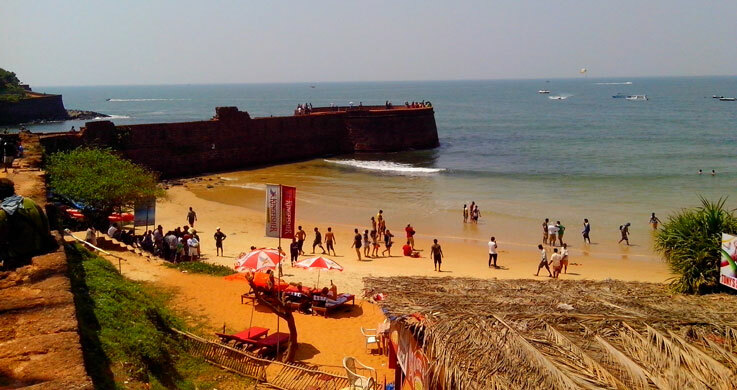 Goa will be all about relaxing near the beach and enjoying the atmosphere. We will board a flight to Delhi on the last day. IGI airport Upon Arrival at Delhi IGI airport, welcome by Colourful Indian Holidays representative & transfer to hotel for 02 nights stay. Day at leisure & overnight at hotel. After breakfast sightseeing of Delhi. Visit the Qutub Minar, Humayun Tomb, Lotus Temple, the India Gate, the Raj Ghats (Gandhi Memorial),and drive past President’s House and Parliament House. Overnight stay at Delhi. After breakfast drive to Agra, upon arrival visit Taj Mahal (Closed on Friday) – the most extravagant monument ever built for love Mumtaj Mahal by Emperor Shah Jahan. And visit Agra fort is must since so many historical events took place here. Overnight at hotel. Breakfast at hotel and later drive to Jaipur. Enroute visit Fatehpur Sikri (old deserted town of Mughal Dynasty) visiting The Buland Darwaza – Palace of Jodha Bai – Birbal Bhawan & Panch Mahal. Upon arrival check into hotel for 01 night stay. Overnight stay at Jaipur. After breakfast at hotel. 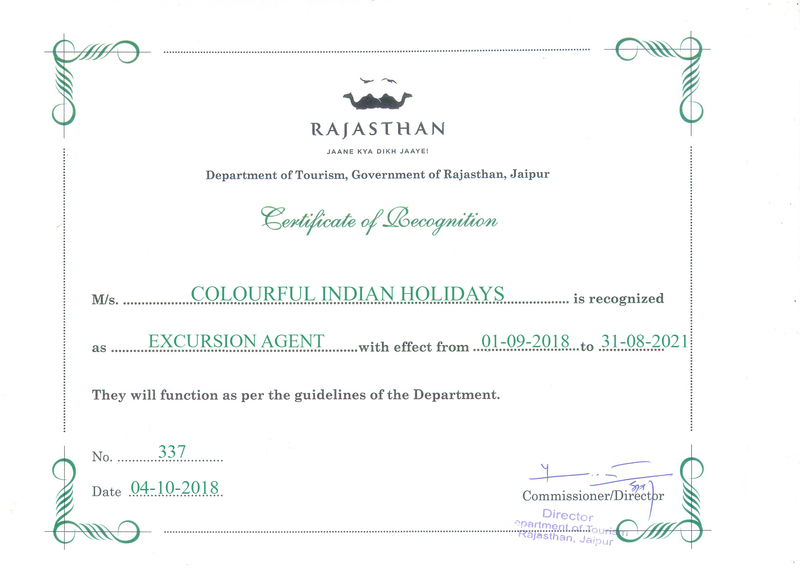 Proceed for excursion to Amber Fort in the outskirts of Jaipur followed by Elephant ride to the fort. Proceed for sightseeing of Palace of Winds better known as Hawa Mahal, City Palace Museum, Jantar Mantar (Observatory).Overnight at Jaipur. After breakfast we head for Bikaner. Afternnoon check in at hotel.We visit the main attractions, Junagarh Fort and the Lalgarh Palace, and the ever so interesting camel breeding farms. Overnight stay at Bikaner. After a relaxed breakfast sightseeing tour of The Golden City – Jaisalmer. It is in the heart of the Great Indian Desert. Its temple, fort and palaces are all built of yellow stone. The city is a mass of intricately carved buildings, facades and elaborate balconies. Visit the JAISALMER FORT – The oldest living Fort in the world. Visit Patwon ki haveli. Evening drive to sand dunes, camel ride at sunset. Back to hotel. Overnight stay at Jaiselmer. After breakfast drive to Jodhpur, on arrival check into hotel for 01 night stay. 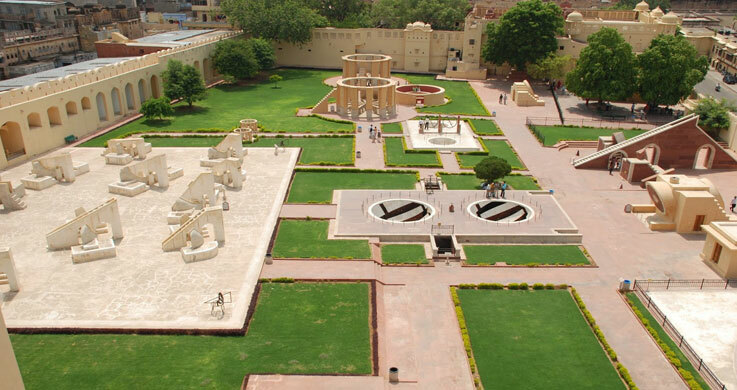 Afternoon sightseeing of Jodhpur visit Mehrangarh Fort, Jaswant Thada.& Mandor Garden. Rest of day leisure at hotel or explore the Old city bazaars. Overnight at hotel. Morning breakfast at hotel and later drive to Ranakpur, check into hotel for 01 night stay. Afternoon visit Ranakpur Jain Templs: Ranakpur is widely known for its marble Jain temple, and for a much older Sun Temple which lies opposite the former. The dating of this temple is controversial but it is largely considered to be anywhere between the late 14th to mid-15th centuries. Overnight at hotel. Morning leisurely breakfast at hotel & later drive to Udaipur, en route visit Kumbhalgarh Fort. Later continue drive to Udaipur, upon arrival transfer to hotel for 02 nights stay. After breakfast tour of Udaipur covering City Palace, poised over Lake Pichola, iridescent with tile and mirror inlay. Also can explore the town by walking through the narrow, colorful winding lanes. Evening boating at Lake picholla. Overnight sta at Udaipur. Breakfast at hotel and transfer airport for flight to Goa via Mumbai. On arrival transfer to hotel for 04 nights stay. Overnight at hotel. Breakfast at hotel and relax at beach side. Breakfast at hotel and later transfer to airport for flight to Delhi, upon arrival departure transfer to International airport for flight back to onward journey.